Litecoin saw astronomical gains through the end of 2017, reaching a high of $365 per token in December. Now the cryptocurrency is going for half of those highs, at just $183. 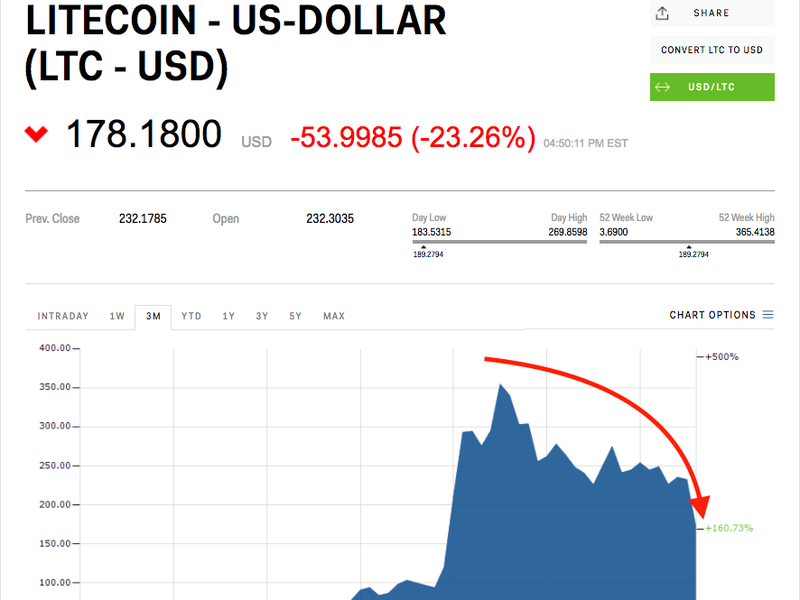 Litecoin has plunged to the sixth-largest cryptocurrency by market cap after losing half of its market value in less than a month. The cryptocurrency, created by former Coinbase engineer Charlie Lee in 2011 as a quicker alternative to the flagship bitcoin, was worth an all-time high of $365 as recently as December, according to Markets Insider data.